File Cabinet Pro version 5.6 has been released for macOS. -You can now drag and drop PDF data to File Cabinet Pro to create a new PDF file. -Fixed issue that caused the ‘Go Back’ button to not work in Column view after changing directories via the Favorites sidebar. File Cabinet Pro version 5.2 has been released for macOS. -You can now drag selected text to File Cabinet Pro to create a text file. The brief video below demonstrates this new feature. File Cabinet Pro: The File Manager for the OS X Menubar Released! Update on 9/26/16: The app description and screenshots in this post are now outdated. To view the latest app description with an updated features list, click here. File Cabinet Pro is the file manager for the OS X menu bar. Quickly navigate to files without cluttering your desktop. Open, move, rename, tag, trash, copy and paste files, all from the menu bar! You can open many file types natively in File Cabinet Pro or open files by launching other applications. Store files locally and in iCloud. It’s easy to click into directories in icon view or navigate the file tree in column view. Organize your files your way! File Cabinet Pro is the first world class file manager for the OS X menu bar. A simple, powerful, and innovative drag and drop experience. Effortlessly drop files into iCloud right from the Desktop. 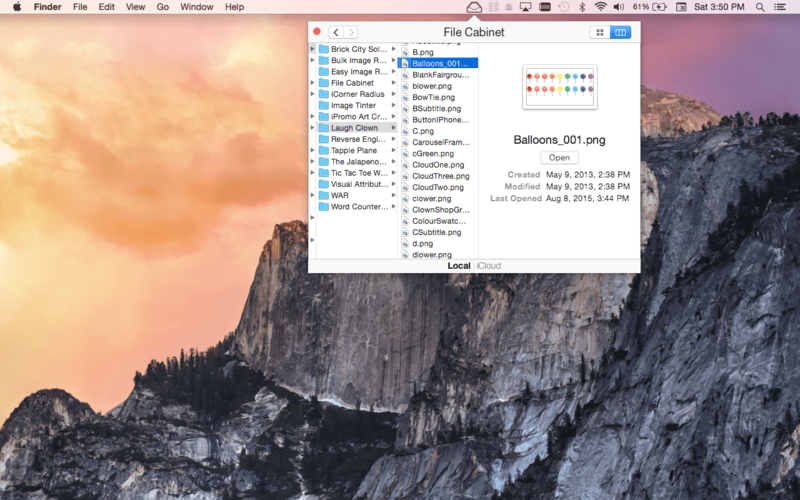 Get rid of desktop clutter and stay organized with File Cabinet Pro. With File Cabinet Pro you can view files in icon view or column view. -Photoshop File Format (.psd) Import only. -Scalable Vector Graphics (.svg) Import only. ∙Create subdirectories in File Cabinet Pro. Organize your files the way you want! ∙Click into subdirectories and open documents! 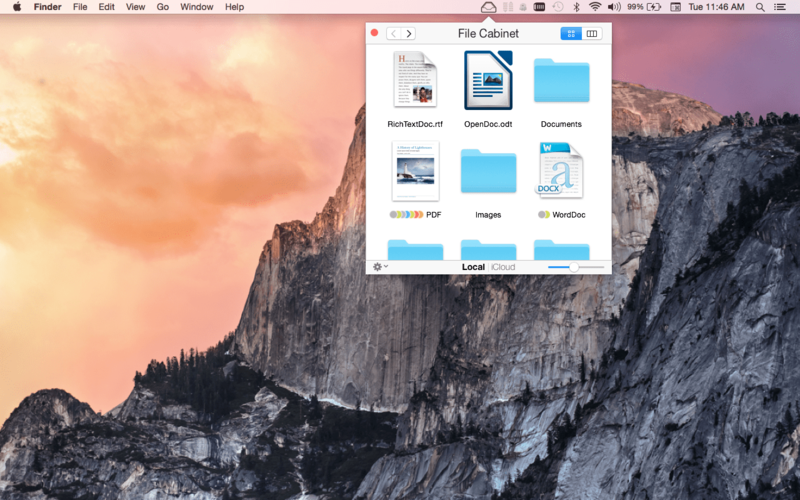 File Cabinet Pro is the must have mini file browser for your menu bar! ∙Store files locally & in iCloud! Place files in iCloud and access them from all your devices! ∙Innovative Drag n’ Drop! You can drag files to and from iCloud by dragging files over the appropriate button to bring up a popover window! ∙Tag files! Select files in File Cabinet, right click, and then simply add or remove file tags from the control in the context menu. ∙Show in Finder! 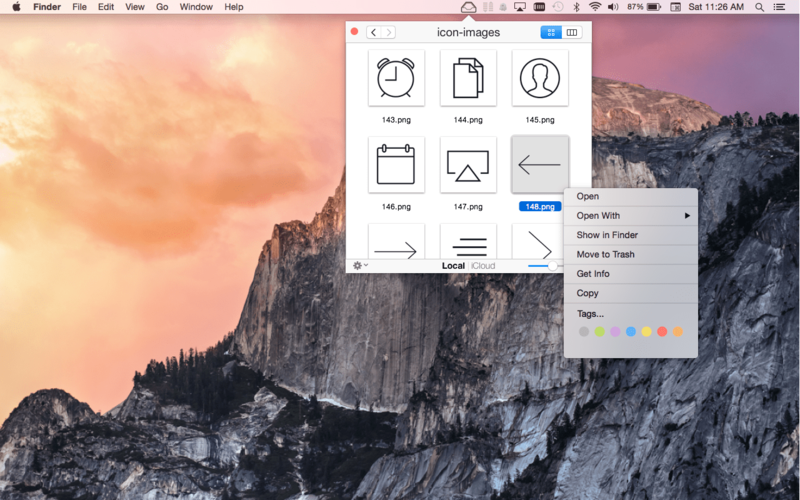 Want to see a file in Finder? Select a file and right click, then choose “Show in Finder” in the context menu. ∙View items as icons or in columns! ∙Launch the application at login! You can have File Cabinet Pro automatically launch when you login to your Mac (optional feature, disabled by default). ∙Built in lightweight text editor! Create and edit .txt, .rtf, and .rtfd files! 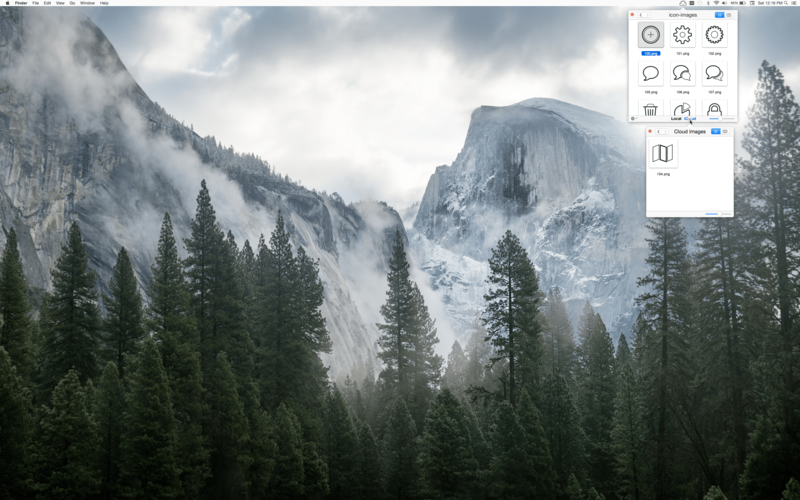 ∙Built in lightweight image viewer/editor! Rotate images, crop images, and apply filters to images! ∙Built in media player! Watch video and play audio files! ∙Editable files support document versions! If you made a change to a file you don’t like, you can easily revert documents versions. So what are you waiting for? Get File Cabinet Pro now!